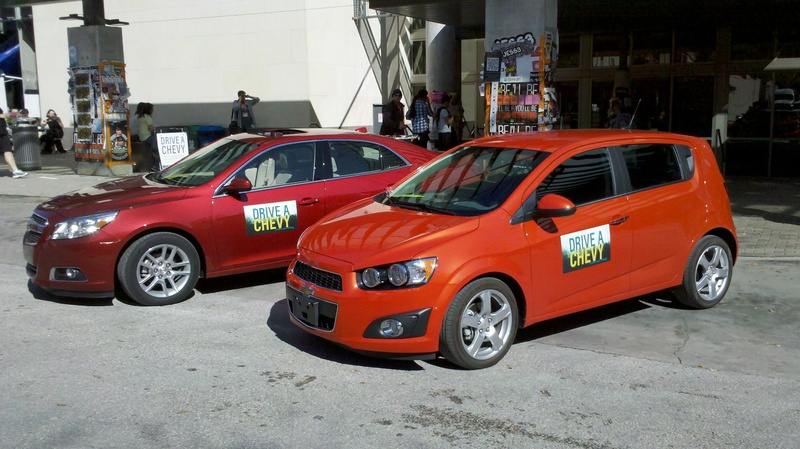 Team Hall & Nass and #Motorama LIVE went to South by SouthWest (SXSW) in Austin, Texas to discover how Chevrolet goes all out to drive home an automotive presence at the SXSW Interactive, Film and Music conference held annually in Austin, Texas. Ride along with us in a “Catch a Chevy” as Connie Burke, Communications Manager for Chevrolet, explains how Chevrolet has managed to drive crowds, make relationships and generate traffic via their creative interactive approach to developing a strong automotive presence at a conference not traditionally known as being automotive related. It’s a true rolling case study in brand marketing meets interactive presence LIVE in action. Come along with us an enjoy the ride!